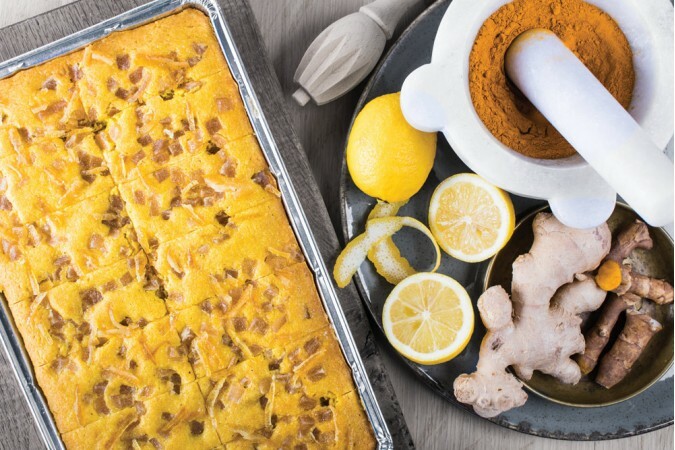 Lemon, Ginger and Turmeric slice. Handmade by Cakesmiths. 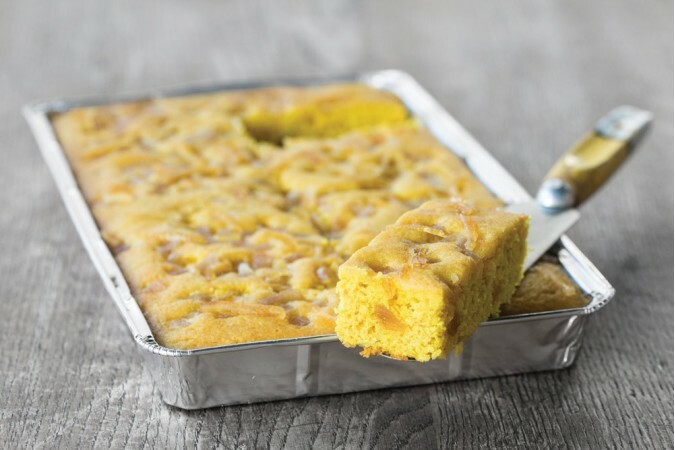 A vibrant and fragranced slice with that unmistakable glow of turmeric. The Cake Inventor has combined the flavours beautifully with warming crystallised ginger and candied lemon zest to create a slice that tastes as memorable as it looks. WHEAT flour (Contains Calcium, Iron, Nicotinamide, Thiamine), sugar, coconut oil, free range EGG, crystallised ginger (stem ginger in E223 brine, cane sugar, water) (10.7%), lemon zest (5.4%), ginger (4.1%), lemon juice (4.1%), honey, caramelised lemon zest (sugar, lemon zest, water) (2%), ground turmeric (0.4%), raising agent: (E450i, E500ii), WHEAT flour (Contains Calcium, Iron, Nicotinamide, Thiamine), ground ginger, salt.